By law, health care providers must discuss health care powers of attorney (also called directives) and things like organ donation with patients who are admitted to their facilities. As it is important to obtain informed consent from patients, physicians need to know the type of treatment you want before they administer it. A health care directive allows you to specify which treatments you want and do not want in the future if you cannot speak for yourself. 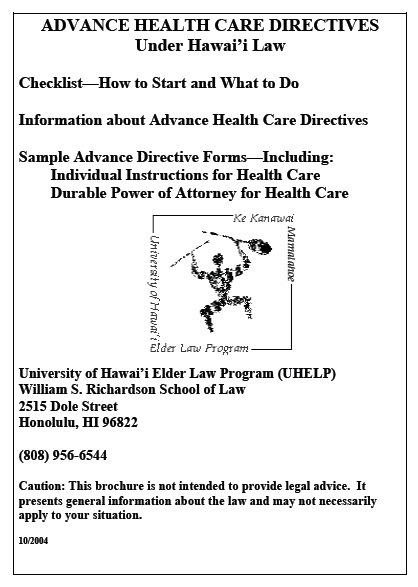 Directives are particularly important if you become incapable of making decisions, for example, if you suffer advanced dementia and cannot understand what doctors advise you or tell them what treatment you want. Specifically, these directives can allow you to decline cardiopulmonary resuscitation or artificial nourishment in advance, so that doctors will not administer them if you become dependent on them to stay alive. However, life-sustaining treatments like these can only be withdrawn if physicians have decided that they are merely prolonging life and there is little chance of neurological improvement or regaining consciousness. In these unfortunate circumstances, you want your desired treatment to be clear to avoid undue emotional pain within your family or living in a coma unnecessarily.